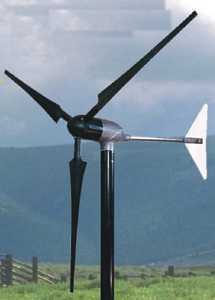 Formerly the Whisper H40, the Whisper 100 wind turbine has been updated for 2005 with new features and added flexibility for your renewable energy system. Now, any Whisper 100 can have its voltage changed, 12-48V DC, within a few minutes in the field. The Whisper 100 is designed to operate in a site with medium to high wind speed averages of 12 mph, 5.4 m/s, and greater. The 100 provides 100+ kWh per month, 3.4 kWh per day, in a 12 mph average wind. Worried about noise? The Whisper 100 is one of the quietest wind turbines ever tested by the National Renewable Energy Labs. In addition to its patented smooth acting side furling design, the Whisper 100 has a number of new features that make it ideal for any new or existing photovotaic system. Included with every whisper is our new Whisper Controller. Unlike many of our competitors, the Whisper controller includes a diversion load to ensure quiet safe operation of your wind turbine when the batteries are charged. 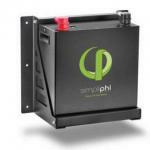 It installs in minutes and it protects both your wind turbine and battery. The Whisper controller fits easily inside your battery room. Add the optional LCD display and you will instantly receive real time data on the performance of your Whisper 100. 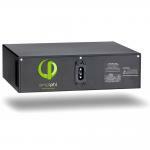 The display can be mounted on the controller or a 1000' (300 meters) away letting you know what is happening. You can even add an anemometer to your controller and now you can measure wind speed and compare it to the output to make sure you are getting the most from your Whisper 100. The Whisper 100 is designed for even the novice. The Whisper can be installed in just a few hours with no welding, no concrete or cranes. Our engineers designed the work out of installing wind turbines. Now wind is as easy to use as photovoltaics. 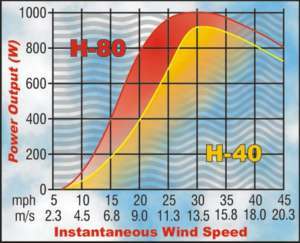 Why small wind? Solar and wind resources often complement each other. Generally when it is sunny it is calm and when it is cloudy it is windy. This complementary effect is even greater during seasonal changes. During the winter and spring when the sun is at its least exposure, the wind is at it highest. A Whisper 100 during these periods is essential to keep your batteries charged and your lights on.